In the last few years Bulgaria is gaining more and more popularity as a top golf breaks destination in Europe, attracting hundreds of golf lovers in its local golf resorts near Balchik. Let us, at Golf Sun and Sand take care of your golf breaks in Bulgaria by offering you our special golf tours. Our golf breaks are specially designed to fulfill all the needs and requirements of experienced golf lovers, as well as to offer a great opportunity for golf beginners to discover the world of that incredible sport. We not only offer you luxury golf villas and apartment rental, but a five stars service by arranging and delivering everything you might need for exceptional stay in any of these golf and spa hotels. 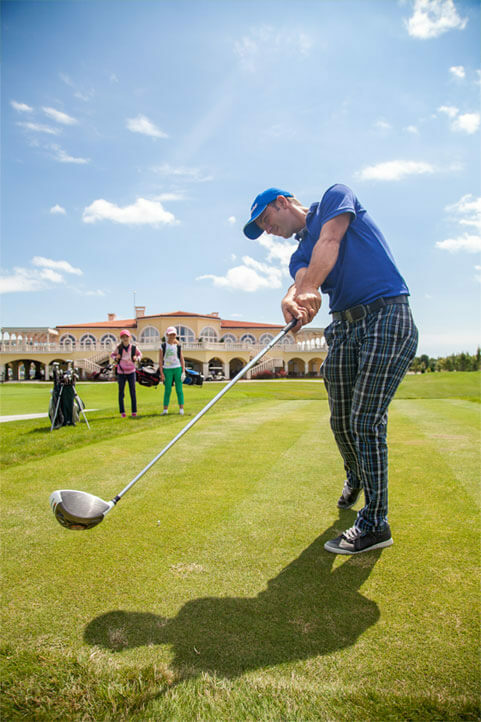 Our passion about golf and long years of experience on the local market allowed us to develop valuable partnerships with one of the top golf resorts in Cape of Kaliakra– Lighthouse Golf and Spa, Thracian Cliffs and Black Sea Rama. We manage to create one of a kind golf packages which includes accommodation – golf villa or apartments for rent in some of the golf and spa resorts and option to participate in of the signature golf courses in Lighthouse (developed by Ian Woosnam) and Championship lynx courses in BlackSeaRama and Thracian Cliffs (developed by Gary Player).